There are so many fun ideas for ways to celebrate the Kentucky Derby on the blogosphere right now. 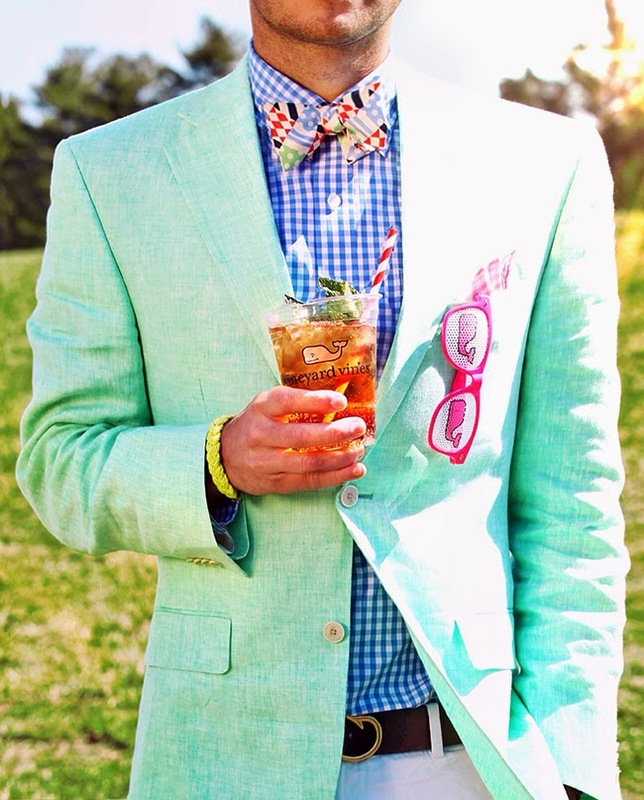 (Including, of course, our Megan's Derby attire & Mint Julep recipe.) In case you don't stalk as many blogs as I do, I thought I'd share my favorites from other blogs with you! Starting with these invitations by Lauren of Lauren Chism Fine Papers, as featured on Oh So Beautiful Paper. Lauren designed my wedding invitations, and I'm obsessed with basically everything she produces. 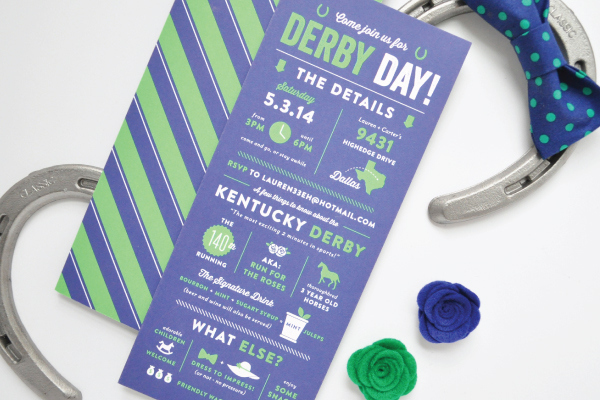 Including these beyond perfect and super fun Derby Day party invitations. Personally, I'd much rather attend what is sure to be a fabulous party in a pretty home like Lauren's than actually attend the Derby. Have any of you ever been? I went one year, to the general seating area, which proved to be a huge mistake. It was basically a trash heap. I was actually grateful that it rained that day, because my Hunter boots helped protect me from the piles of garbage we had to wade through. Definitely not as pleasant as this pretty "Down and Derby" party designed by Julia Lake and Brita Olsen for Camille Styles. 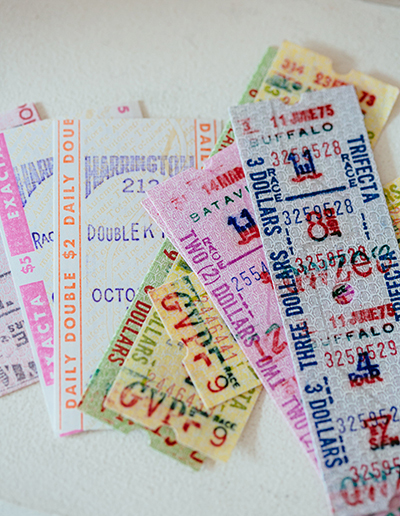 I love that they incorporated vintage tickets from real horse races. 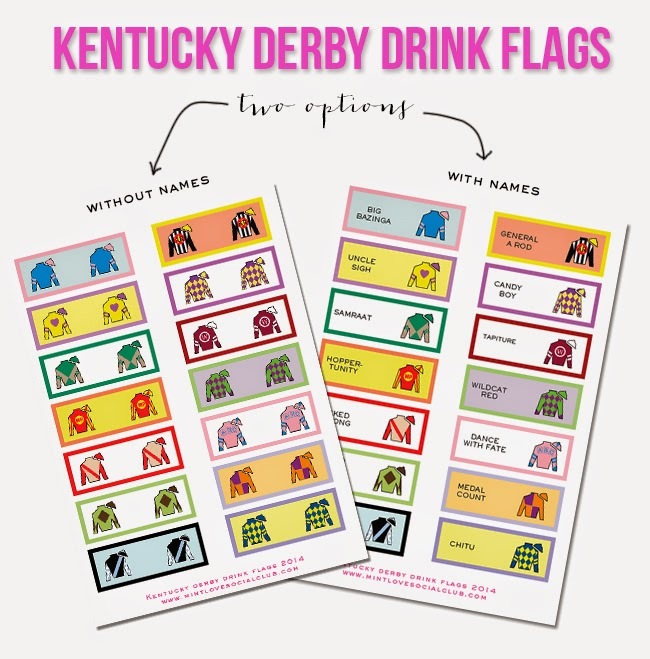 For a last minute DIY project, try these free printable Kentucky Derby Drink Flags by Mint Love Social Club. And make sure you follow this blog always - Natalie is constantly creating beautiful and approachable event design ideas. And if you need inspiration for men's attire, I love the look of this gentleman on Classy Girls Wear Pearls.